Getting locked out of your car is something quite common but also pretty frustrating. Regardless of whether you have an early model or a late model vehicle with keyless entry, locking yourself out of your car happens when you least expect it. In such situations, instead of worrying and stressing out, all you need to do is make a quick phone call to Multi Locksmith and ask for our locked keys in car service. Locking your set of keys inside the car will require the assistance of a professional car key locksmith, and who better for the job than us! We are experts at unlocking any make and model vehicle regardless of its production year and generation. Naturally, the entire process will be carried out by our specially qualified car key locksmith teams who will approach and conduct the job with utmost precision, efficiency and attention to detail. Of course, the vehicle unlocking process will be gentle and will not cause any damage or alteration to the car’s locking system. Using special tools and equipment, our professional locksmiths will quickly have your car opened, so you'd back on your way before you know it. Getting Multi Locksmith to deal with your locked keys situation is the sensible, affordable and efficient alternative to calling your car dealership as they will likely take too long to get to you, they will charge you a decent amount of money – especially if the car’s warranty has expired, plus they may take some time before providing you with a duplicate key. On the other hand our car key locksmith service gives you complete coverage. We will be on site within thirty minutes of taking your call. We will arrive fully equipped and ready for the job. All work performed by qualified technicians. As expected, we also maintain round the clock emergency service for customers who got locked out of their vehicles in odd hours of the night..
Multi Locksmith will not charge you a hefty price for our time and effort, quite the opposite actually – our rates and spare part prices are amongst the fairest and most competitive around. Call us now and we will have you rolling again in no time at all! 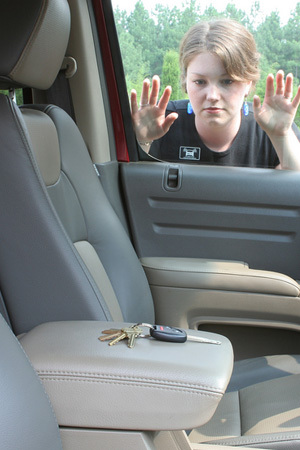 If you’ve ever locked your keys in your car, you can’t afford to wait around for hours until help arrives. A lot of locksmith companies are at home sleeping, but we work 24/7 at Multi Car Locksmith. Forgetting your keys inside your car is a real nightmare. The last thing you want to do is crack your window, which will only cause further damage and expense. That’s why you need a safe and reliable auto locksmith company that uses the best practice to get you back inside your vehicle. We’re well known throughout the San Jose area, as being the most time efficient company as well. That means that you’re never kept waiting long, when you need any kind of emergency auto locksmith service. It’s very easy to leave your keys inside your car. A quick gust of wind can easily slam the door shut, leaving you mighty frustrated in return. It’s always reassuring to know that there is a professional and reliable emergency locksmith already on the way. Our highly skilled technicians will quickly assist you in getting back inside your car, and provide you with a brand new set of keys as well. You don’t have to worry about smashing your window anymore. Our methods are safe and fast. We’ve got the right tools to duplicate any model key, regardless of groove pattern or model vehicle. Each locksmith will gladly present you with proper company ID, so you can always feel relaxed. You don’t have to bang on the hood of your car, when you’ve locked yourself outside, just give us a call! We’ve been helping our clients out for many years, which is why, they’ve returned to us. There are many auto locksmith companies out there, but none of them go the distance when it comes to our level of customer support. We’re extremely fast to arrive at your scene, and our prices are the most competitive in the field. Don’t trust an inexperienced amateur with your safety, let us help get you back to your destination as safely as possible.